One of my goals for My Financial Reviews is to highlight personal finance blogs and sites that I think can help you with your finances. 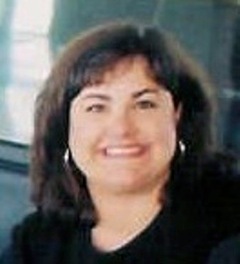 This week Julie from The Family CEO. When and why did you start The Family CEO? 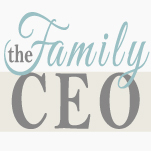 I started The Family CEO in 2006 when I was a stay-at-home mom looking for a way to contribute to our family’s finance. It occurred to me that if I hired myself to improve our family finances, through finding savings and focusing on debt reduction, the result could be the equivalent of taking a part-time job. The Family CEO was started to document my efforts. You cover a lot of different topics on your site like house & home, found money, and simplifying. Which topic is your favorite? Which topic do you feel like you could work on a bit more? I love decorating and homemaking and feel that those topics add a little personality to the blog, but I consider the Found Money concept to be the core of what The Family CEO is about. Found Money has served us so well in first paying down debt, and now building savings. I feel like the blog has a pretty good balance, so I wouldn’t say that there’s anything I want to work on more. I love to make budgets (I’m a big numbers nerd) but I hate following them, which is why I use things like Found Money as an alternative to budgeting. I track all of our income and expenses in Quicken, so I can keep an eye on where we are putting our money and make adjustments when necessary to make sure that our spending matches our priorities. Our investing is done mainly through dollar cost averaging into no load/low fee mutual funds. Although I did buy five dividend stocks last year and am enjoying tracking them. I blogged about that experience and update it periodically. Our biggest mistake, without doubt, was not being debt adverse enough. We were never in trouble with debt – we made all our payments on time and had excellent credit scores – but the amount of debt we allowed ourselves to have really limited our options. Now we’ve turned that situation around we’re making up for lost time. The lesson is that it’s much more fun to use your income to build wealth instead of qualify for payments. What are your goals this year and beyond with The Family CEO? My main goal is always to continue to grow The Family CEO’s readership. I also have several ideas for ebooks and I’d like to complete my first one this year. Thanks again to Julie for taking time for this interview! Check her out on The Family CEO and also on Twitter.